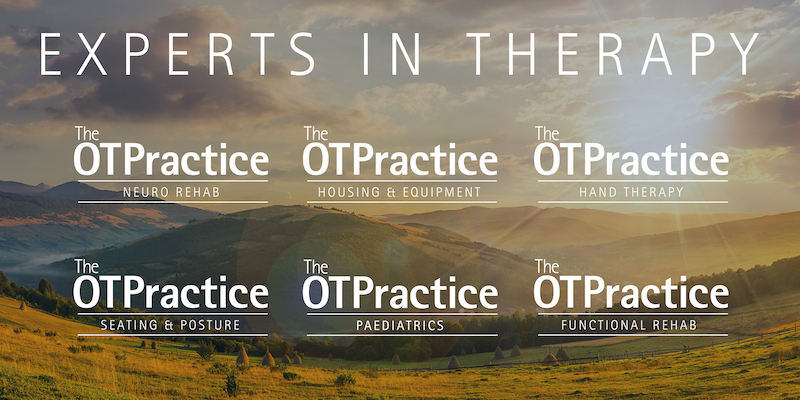 It is now almost a decade since The OT Practice was founded. Whilst we have evolved how we work as we have grown, we recently reached a point where we needed to take a holistic look at how we deliver our services to ensure we are meeting the needs of our clients and providing the very best service we can. So, as we enter 2019 we take the next big step in the evolution of The OT Practice with the launch of our Specialist Clinical Teams. The introduction of our new Specialist Clinical Teams requires an internal reorganisation of The OT Practice to bring an enhanced focus on delivering specialist OT services, which we are in the process of rolling out now. The teams will be developed simultaneously, but will be allowed to operate independently of each other to ensure they are tailored to their specialism in every aspect. These carefully considered changes are happening following an internal review of our service offering where we looked at how the independent OT marketplace has evolved, as well as feedback from our clients and our extensive therapy team. This article aims to provide detail and clarity on the changes we are making, however if you have any further questions please contact Nikki (Executive Director) at nikki@theotpractice.co.uk or Matt (Clinical Operations Director) at matthew@theotpractice.co.uk. For over a decade now we have successfully provided occupational therapists from all specialisms utilising the same structure and operations of The OT Practice. This has served us and our clients well and we are delighted to be the largest provider of OT services across the country. However as the demand grows for specialist skills and the needs of our clients become increasingly complex, we recognise the need to evolve and enhance our service to excel at delivering specialist clinical care. What differences will you see? The implementation programme for the new structure is already underway with plans to continue to enhance and develop the teams throughout the year. We recognise that best practice guidance and innovation are fast changing within the health care arena and want our therapists, across all teams to be delivering the most up to date and clinically evidenced practices to our clients. Our immediate priority is to recruit either from our existing network or externally a highly qualified, experienced and skilled Clinical Lead for each team. These 6 exciting new roles will hold a clinical caseload in addition to providing specialism specific clinical governance, service development, supervision and leadership to their teams. They will be available for advisory support on any particularly complex and challenging cases to our office based Clinical Services Teams, field based therapists and yourselves as referrers. The new team structure allows us to communicate best practice or specialist specific updates swiftly to the team such as those from NICE, HSE or RCOT thereby ensuring your clients are benefiting from the latest clinical advancements and techniques. Each team will now have refined and tailored documentation developed under the guidance of a specialism specific OT’s thus enhancing the depth and focus of the assessment and treatment process. Individual specialist clinical teams facilitate the identity of each clinical area within the practice. This elevated profile and identity aids the recruitment and retention of specialist occupational therapists to The OT Practice teams therefore increasing the coverage, capacity and skills we can offer to your clients. Smaller clinically unified teams mean we can provide targeted and relevant training. Teams will regularly be sharing best practice and provide peer mentoring to enhance overall clinical delivery to your clients. Each team will be monitored independently and regularly audited for quality, coverage and overall performance to ensure that we are delivering the highest standards of clinical care and service to our clients and referrers. The new Clinical Lead roles and their Specialist teams will be managed by our Clinical Service Managers Victoria for adults and Sarah for paediatrics. Our enquiry and referral processes are not changing with Victoria or Sarah’s office teams remaining the route into accessing the most suitable OT for your client. The new structure will provide a robust platform for growth and reassurance to our referrers that we have the specialist skills and resources to provide expert occupational therapists to assess and treat your clients. As changes are rolled out and new positions filled, we will keep you updated. If you have a case that requires specialist occupational therapy intervention please call us on 0330 0249910 or email us on enquiries@theotpractice.co.uk to discuss how we can help.